Throughout the global South, conditional cash transfer programmes (CCTs) are used to promote inclusive development. CCTs are widely evaluated as “efficient” and “effective” mechanisms for developing children’s human capital, at least in the short-term. In contrast, this paper presents an institutional ethnography of Peru’s CCT “Juntos”, considering the potential for CCTs to meaningfully “include” the poor, rural mothers who receive the cash and are expected to meet programme conditions. Grounded in extensive research in households, clinics, schools, and village halls, the paper interrogates the gendered impacts of CCTs in spaces where uneven development manifests itself in privation. Centring women’s wellbeing in theory and practice, this paper contributes to ongoing policy debates about whether or not social protection should be conditional. Ultimately, the findings illustrate that the circumstances under which women are required to fulfil programme requirements contest the appropriateness of conditioning cash as a mechanism for “inclusive” development. Tara has a PhD from the Department of Geography at the University of Cambridge, where she was a Gates Scholar. Her research looked at the gendered impacts of conditional cash transfer programmes in Peru, incorporating feminist, critical international political economy and post-colonial theory. Tara has an MA from the University of Toronto and BA from the University of British Columbia. You can read more about her work at http://www.taracookson.com And for more on some of the ideas explored in Tara’s paper, see James Ferguson’s “The Uses of Neoliberalism” from our 40th anniversary special issue, The Point Is To Change It. 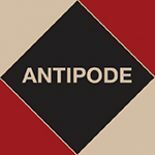 This entry was posted on 2 August 2016 by Antipode Editorial Office in Video Abstracts and tagged anti-poverty policy, CCTs, children, conditional cash transfer programmes, development, ethnography, feminism, gender, households, human capital, human rights, inclusion, inclusive development, inequality, international political economy, motherhood, Peru, post-colonial theory, postcolonial studies, public services, rural poverty, social protection, social reproduction, the state, women.